FavorMart respects the privacy rights of our customers and all visitors to our web site. We hope the following Q&A will help you understand how FavorMart collects, uses and safeguards the personal information you provide to us on our site. What if I communicate with FavorMart electronically? When you send an email to FavorMart or visit the web site, you are communicating with us electronically. When you send an email to FavorMart, you consent to receive electronic communications from us in response. FavorMart will not place you on our email or direct mail lists without your consent. All emails, postings and updating of notices on the web site constitute electronic communication by FavorMart. All agreements, notices, disclosures and other communications that FavorMart provides to you electronically satisfy any legal requirement that such communication be in writing. All communications with FavorMart become the property of FavorMart. What information does FavorMart collect? An account is created when you do one of following things: make a purchase on FavorMart, or register for an account on FavorMart. When creating an account, we ask you for your first and last name, your e-mail address, a password, and other similar information. 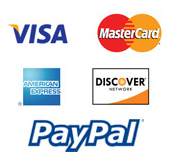 If you are making a purchase, we will ask you for your billing address, shipping address, and credit card information. What does FavorMart do with this personal information? Your information is used to process your orders and personalize your shopping experience on FavorMart, for internal purposes and to comply with any legal requirements. By storing your personal information on a secure server, FavorMart is able to streamline your checkout process and allow you to check your order status online. At FavorMart, we also review what kinds of products appeal most to our customers as a group. This statistical information helps us improve our product base. We may use information about the kinds of products you buy from FavorMart to suggest other goods or opportunities you might be interested in.